Renault cars have been rolling on the Indian roads quite well from the past few time and some of the newly launches like Duster has changed the terms of SUV in India which has been the look forward segment in the country. Now, the company has released the first details about the 2013 Renault Clio ahead of its debut in the Paris motor show. Clio hatch features the French brand’s striking new design language, its first three-cylinder petrol engine and a host of high-tech features. The car will make its public debut at September’s Paris motor show, and should arrive in Australia in the middle of next year with a wider range of models to rival the likes of the Volkswagen Polo and Ford Fiesta. Though the Renault Clio price is officially not announced but the company surely plans of making it affordable than Polo so as to make a good competition in the market. The pricing would be around the 7Lakhs region in India. Renault claims the latest five-door-only Clio is about 100 kilograms lighter than its predecessor and from the Renault Clio pictures, it looks that it offers a lower ride height and wider tracks for a sportier look. It also measures slightly longer, with more distance between the front and rear wheel, but is fractionally narrower than its predecessor Renault Clio would be available with both the diesel and petrol engines so as to increase the versatility of the premium hatchback. The company claims about the car to give the mileage of 15-19Kmpl on the roads which seems to be impressive. The exteriors of the car take your attention being sportier and lighter at the same time. Described as the first full expression of the Renault "design renaissance," the model has a Desire-inspired grille, sweptback headlights and muscular fenders. 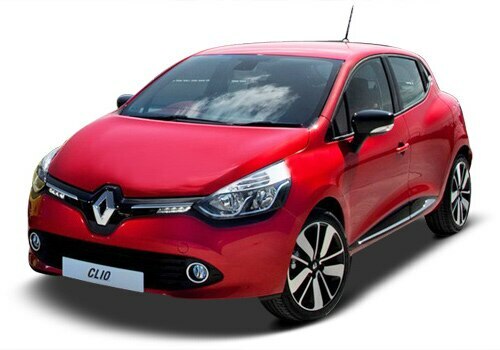 Renault Clio specifications include black trim, LED daytime running light, integrated rear door handles, optional R-Link infotainment system which features a seven-inch touch screen display with TomTom navigation, internet connectivity and access to the world's first automotive app store. There is no such about the interiors of the car but they are expected to be a lot more advanced and improved over the previous version which was launched 22 years back. As said by officials, Renault Clio would be the car that would take the attention of many buyers who are in this segment by its looks, design, power, performance and fuel efficiency at the same time. I shared that Nissan Micra vs Hyundai i10 Comparison Review.